As you’d know if you read this blog regularly, I love movies – I watch movies religiously…I watch 1-2 movies almost every night of the week. And after the Oscars, if I haven’t seen ALL of the nominations (not just the winners) I try and watch them. I did pretty well with the 2010 nominations even managing to watch some of the the foreign entries like Un ProphÃ¨te and White Ribbon. This time around though, I’ve been pretty slack..with the house buying, renovation, bit of travel, lot of work and moving I’ve not even watched half of the Best Picture nominations. I’ll just cover my thoughts on the main categories. Colin Firth, Geoffrey Rush and Helena Bonham-Carter – how can King’s Speech not win? I was under no illusions The Social Network would win, and with the Oscars crowd Inception didn’t stand much of a chance either. And well a lot of 2010 nominations haven’t been released here yet or are only hitting the screen now in the 2nd month of 2011. The top three I want to watch that I haven’t yet has to be Black Swan, The Fighter and True Grit. Mr Darcy ftw! Haven’t seen the others yet except for Jesse so I can’t comment. Hot Grits! Natalie Portman, I totally endorse the win and LOVE everything she’s been in way back since Leon: The Professional. She’s got 3 more big movies coming out in 2011 so I think it’s going to be a great year for her. Poor old Christopher Nolan has been left out in the cold when it comes to Best Director, he didn’t even get nominated. But it tends to be that way, sci-fi directors or directors of movies with heavy special effects often get snubbed. Just like it took years for the Oscars chaps to accept Steven Spielberg. It’s won by Tom Hooper – who personally I’ve never heard of. But he’s the director of King’s Speech which won Best Picture…so there you go. Looking at his history he started off directing Byker Grove and Eastenders so I would have never expected him to get an Oscar! 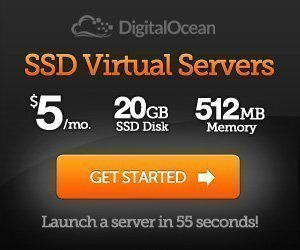 Those are the categories that matter to me anyway, let me know what are your thoughts on the 2011 Oscars – any movies that you saw and loved that you think were passed over. And conversely of course if you’ve seen any of the nominations/winners and hated them. 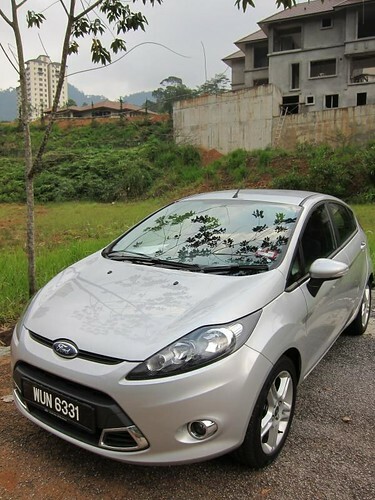 I was recently tasked with testing out the new Ford Fiesta Sport, apparently the best selling car in Europe for 2010! I’ve also heard a lot of journalists that test drove the car…went ahead and bought the car – that is quite an acclaim. I’m not so much into the small segment cars, but I have to admit – this one really got me interested. Especially seen as though I do like Cars/Motorsport and this is one well specced car! With a 6-speed Dual Clutch Powershift gearbox, I think it’s gotta be the cheapest car with such high-tech drive technology, it gives a lot smoother ride than a conventional auto gearbox and a lot less power loss. It also comes with Electronic Stability Programme (ESP) with Traction Control System (TCS) to prevent understeer inherent in front wheel drive cars – amazing! The specs are pretty impressive, especially in the small car segment, the interior is equally well specced with blue-tooth with voice control and steering wheel mounted buttons. Of course it does help that is a very good looking chap, very far removed from the old Fiesta which was very round and podgy – what we called a Hairdressers car back in England. With people working longer hours and spending more time in front of the computer and television – they sometimes forget to communicate and spend time with those that matter. Even amongst our circle of friends we have a saying “Disconnect to Connect” – which basically means to put the iPhone/BlackBerry/Android down and talk face to face with your friends instead of sitting in a restaurant or pub and Facebooking. Pizza Hut is promoting this with their new thematic campaign championing face-to-face interaction. 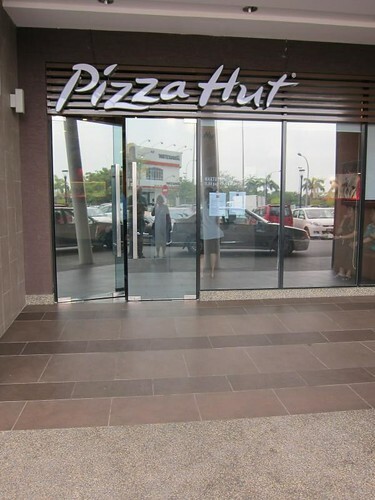 We were recently invited to a new Pizza Hut branch in Subang 2 for a get together and makan session. It’s a rather stylish location with a casual, relaxed feel and it really is a nice place to hang out with ample parking. We always have the best times over food, sharing with friends, laughing and eating is one of the greatest pleasures in life. It’s a simple thing, but once you get used to enjoying it you can understand why the Italians regularly have 6-hour dinners and all day Sunday lunches. Happy Chinese New Year! HUAT AR! 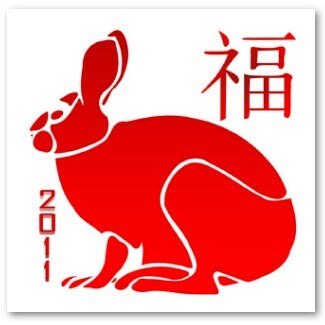 Wishing you all a glorious, healthy, prosperous and happy year of the Rabbit!